Carrington MacDuffie - Crush On You. 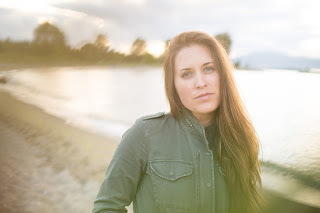 Background promo - Seattle local and Americana singer-songwriter Carrington MacDuffie will be performing songs from her newest EP, Crush on You, at Bob’s Java Jive (2102 S Tacoma Way, Tacoma) on September 17, with doors at 9:00 PM. Carrington will let her independent spirit fly as she shares songs about love, loss, and her little guitar in the historic dive bar shaped like a teapot. There will be a small cover charge at the door. Established first as an acclaimed voiceover actor, Carrington is following her passion for music as the singer-songwriter uses her music to create a full and free expression of herself that combines poetic lyrics with an infusion of Americana, folk, and rockabilly. Her newest EP, Crush on You, exemplifies this in its five original tracks. Diamond Mind - Horseless Coach. Background promo - Diamond Mind have announced their debut full-length album Heavy Metal Sunshine and shared the first track "Horseless Coach". Heavy Metal Sunshine is due October 7 on Wyatt Records. Formed in the summer of 2013, Diamond Mind is one of Edmonton, Alberta's favourite musical exports. 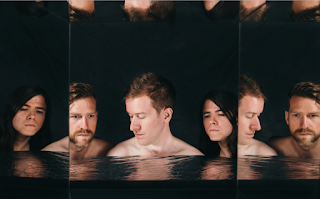 Always looking to draw from many diverse wells - pop, noise, soul, all with an eye to the baroque - the band has already mapped extensive territory, leaping forward with the release of each of their three EPs. With these releases the band has won audiences through the unique character of their songs, recorded in environments ranging from attic bedrooms to storied, established studios. Ben Ford-Davies - Vitruvian Man. 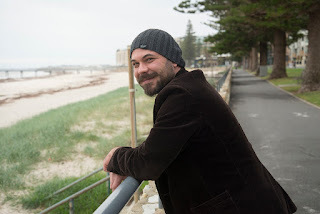 Background promo - Having recorded a cracking new album, Papillon, which won him 3 South Australian songwriting awards, and previously opened for nationally celebrated artists (including Diesel and Jeff Lang), Ben Ford-Davies releases his latest single ‘Vitruvian Man’. Recorded and produced by Nigel Grummet, Ronnie Taheny, and Ben Ford-Davies at Hiball Studios. ‘Vitruvian Man’ is based on the concept of Leonardo Da Vinci’s drawing of a perfectly uniform man and the idea that all his perfection is based largely on his connection with a universal formula. Having made three different starts in three different states over the last decade, Ben has just returned from a successful debut 28-date tour of Europe. Teaming up with the Europe-based dynamo, singer songwriter Ronnie Taheny, his life has turned around and his career has been revitalised. 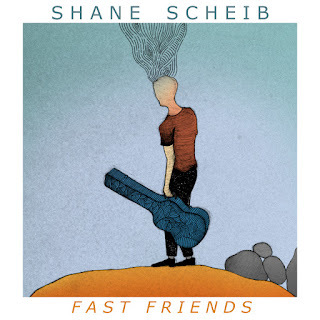 Shane Scheib - Run! (Radio Version). 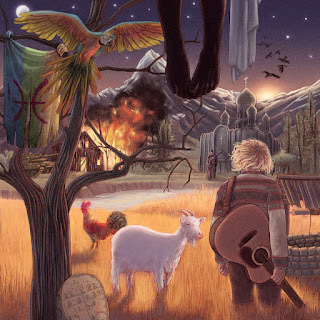 Background promo - Shane Scheib is an indie artist based in Nashville, Tennessee. His music expertly blurs the lines between the energy of alternative rock and the verve of indie-pop. A creative and forward-thinking performer, Shane is known to produce music with an open heart and an open mind, bridging the gaps between clever arrangements and emotional lyrical wit. His distinctive guitar playing is also the result of lots of labour and dedication: when he was 13, Shane fell in love with the mastery and incredible ability of Stevie Ray Vaughn. He watched the bluesman's legendary live performances on video repeatedly, eventually mastering the blues and rock formula. Later, he took it to the next level as a trained jazz guitarist with a versatile mindset, incorporating influences as diverse as folk, pop and rock into his music. Background promo - Gaining BBC Radio 1 play with your debut single release is a pretty astonishing boost for anyone, but 20 year old Welsh/Bajan artist Kizzy Crawford, is not one to rest on her laurels. Her solo career began just three years ago and she is on a mission - a mixed race Welsh speaking artist proud of her background and determined to make her mark by fusing bilingual soul-folk jazz. Kizzy’s already getting national recognition for her work; in addition to airplay on Huw Stephens show on BBC Radio 1, she’s had plays on BBC 6Music, BBC Radio 4, BBC Radio 3, BBC Radio Wales, BBC Radio Cymru as well as live TV performances on S4C, Children in Need for BBC 1 and the 6 Nations advert campaign. Moddi - A Matter Of Habit. Background promo - “Learning to kill is a matter of habit, the more you have done it the better you’re at it… They’re just objects and shadows, not women and men. Learning to kill is a natural thing.” It’s a lyric that carries as much weight today as it did in 2012, when the song was prohibited from play on Israeli Army radio station Galatz. Penned by author Alona Kimhi – on account of first-hand testimonies from West Bank IDF soldiers – and performed by Izhar Ashdot, ‘A Matter Of Habit’ is the latest track reworked by Norwegian singer/songwriter MODDI on forthcoming album ‘Unsongs’. In the case of ‘A Matter Of Habit’, Galatz justified the ban saying: “we should avoid celebrating a song that demonizes our soldiers”. However, delve a little deeper and the focus shifts to wider moral perspectives. 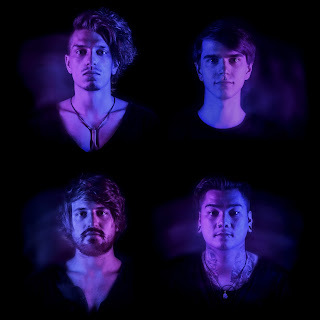 Background promo - Canadian alternative rock band Hawking have released their latest single "Comfortable". The track boasts themes of loss and fear while showcasing the group's signature intense percussion and complex vocals. "Comfortable" is a meaningful title for the band because it's about the desire to feel comfort at the end of the day. It's about defining and finding comfort, whether that's emotionally, financially, physically, or creating your own version of feeling at peace. The song was written by lead singer Tom Vanderkam while on a plane to Los Angeles with his girlfriend Maddie Phillips, who stars as the heroine in the music video. Background bio - A little town in the Florida panhandle may be the only true home to Southern songstress Tanya Gallagher, but her music spans the country from the coastal plains of the Gulf of Mexico into the far reaches of the Pacific Northwest. Born and raised near the Florida-Alabama line, she spent her formative years along the Gulf Coast studying environmental science and working odd jobs whilst fine-tuning her song-writing skills. Her 2013 release, Oh My Love, reveals beautifully crafted melodies and thoughtful folky refrains, enough to garner the attention of both her US and Canadian peers.